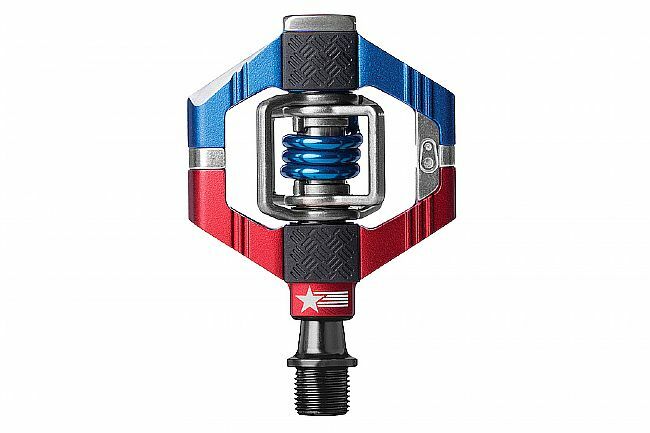 The Crank Bros Candy 7 Pedals feature integrated Traction Pad technology to optimize pedal engagement with the shoe for a more stable, more efficient platform. The pads come in the way of 1 mm or 2 mm swappable polyurethane pads included with the pedals for getting the best fit for any given shoe, and they mount up simply to the Candy 7's 6061-T6 aluminum bodies, which have chamfered edges to reduce the likelihood of rock strikes. Special ribbing on the face of the cages help improve traction when unclipped, and as always, Crank Bros' 4-sided entry means easy engagement and excellent mud shedding. Inside the forged chromoly spindle, the Candy 7 uses high-quality internals with an Enduro cartridge outer bearing and igus® glide inner bearing protected by a robust Double Seal system for a long smooth life. 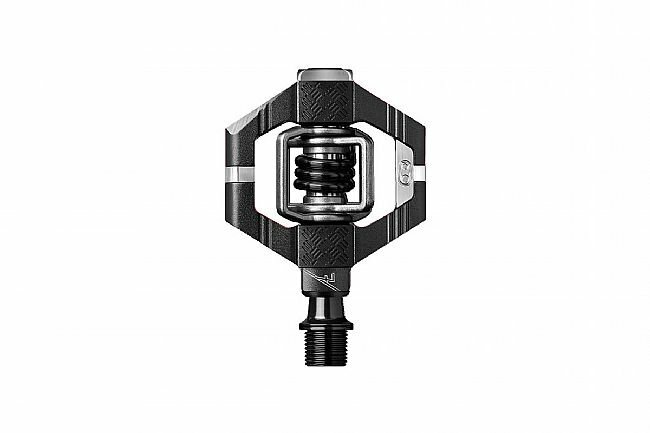 In the case they see a little too much action, the Candy 7 MTB pedals are easily rebuildable using a Crank Bros Pedal Refresh kit. Available in multiple colors. Customizable float and release angles. Includes premium brass cleats. Compatible with SPD style two-bolt shoes. Claimed weight is 320 grams per pair. A really great pedal. Nice looking. Very well made. What I wanted was more float and I got that with these pedals. Before these, I had Speed Play Light Action. I loved them for the two side entry and these have technically four sides of entry. Entry took a little getting used to. Entry is not straight downward pressure like my Speedplay but a combination of down and forward motion. 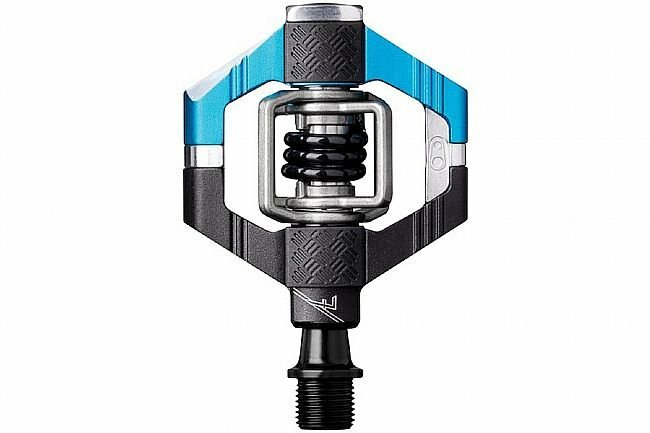 Exit is the same as all clipless pedals-outward twist of your heal and youre out. The machining of the aluminum and anodizing is high quality. My new favorite clipless System. Lastly, I have to mention I love the added bonus of being able to walk around comfortably in my cycling shoes due to the small clips needed for clip in. This probably my fourth set of Candies over the last 8 or 10 years. Overall, a great pedal. Big enough platform to get a foot on, rebuildable, and easy to click in and out. Cleats give just enough float. If I have one constructive criticism its that the cleats are very soft metal and wear fairly quickly. I give only 4 stars for value because ALL pedals are overpriced. Pedal helps stabilize the foot on the pedal. Is really good for us less sure footed people. Quality right out of the box. Easy install & great fit. Clipping in is seamless & the finish is top. Great value for the price, especially during Biketiresdirect.com sales. 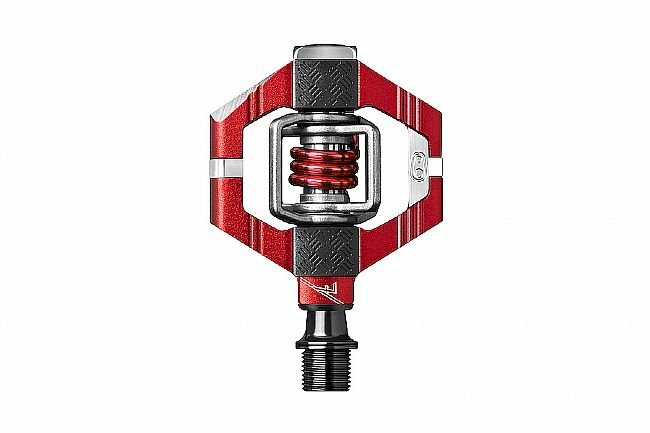 I've been using the Candy pedals for mountain biking for years and this latest edition is an awesome upgrade. They provide a stable platform, easy entry and release and love the edition of the traction pad. Highly recommend for XC and trail use.